On a piece of paper, lay out the data you want in your query results. 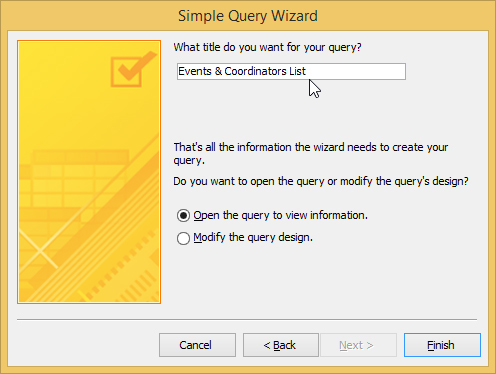 The New Query Wizard dialog box appears, asking you what kind of Query Wizard you want to run. 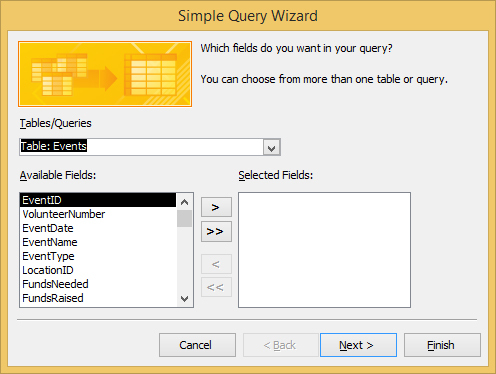 Choose Simple Query Wizard and click OK. Select the fields from that table for your query. 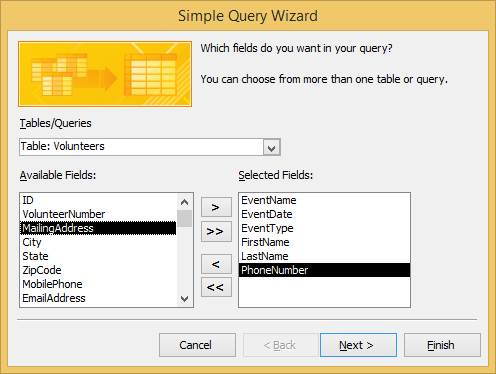 For each field you want included in your query, click the name of the table or query to include in this query, and in the Available Fields list, double-click each field from this table or query that you want to include in the query you’re creating. If the wizard can determine the relationships between the tables you selected, a window appears. If you don’t see the window, not to worry. Access just wants you to name the query instead. Skip the next step. If you include fields from two tables that aren’t related, a warning dialog box appears. The dialog box reminds you that all the selected tables must be related before you can run your query — and suggests that you correct the problem before continuing. 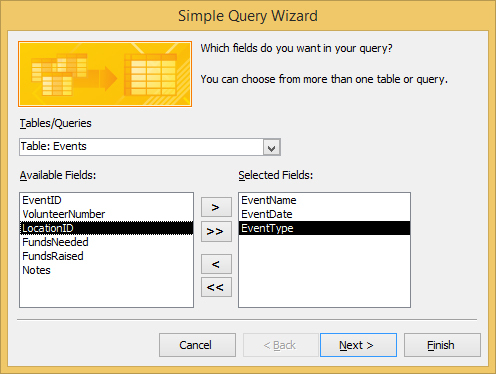 And you’ll need to do so, so if you’re trying to include fields from more than one table and the tables are not yet related, exit out of the Query Wizard (click Cancel) and then go set up the relationship(s). 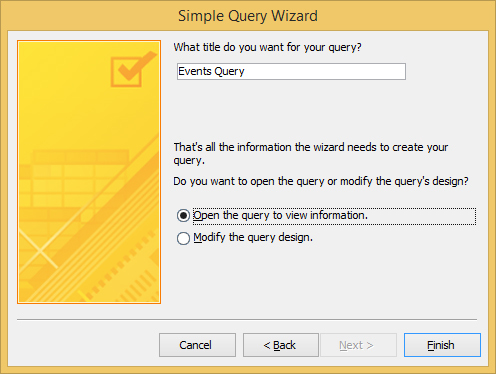 You can return to the Query Wizard after you’ve done so. In the wizard page that appears, select a radio button for what you want to do next.